Gears of Halo - Video game reviews, news and cosplay : What are the armor abilities for Halo 4? 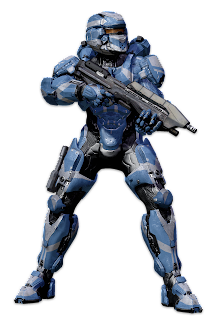 What are the armour abilities for Halo 4? Within the War Games and Spartan Ops modes on offer in Halo 4, the players take the role of a highly specialized SPARTAN-IV super-soldier, deployed from UNSC Infinity and utilizing a state-of-the-art Mjolnir GEN2 armor system. While running around ducking and diving blasts from Scattershots and Sticky Detonators your Spartan can utilise the following abilities. 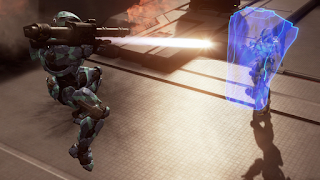 No more Reach armour lock for you it seems! The M805X Thruster Pack, similar to other EVA-focused thrust modules, is a movement acceleration system that mitigates the user’s need for a fulcrum or pivoting articulation. 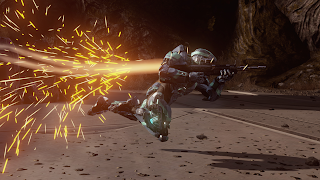 This ability allows the user to move quickly and aggressively in combat, whether closing the gap between the user and an enemy or finding cover. The recently recovered Z-90 Hardlight Shield appears to be a photon emitter that can fuse particles of light into a rigid, dissipative barrier. For Spartans who choose to integrate it, the technology functions as a full-size aegis-class, anti-personnel defensive shield. The T-27 Decoy package, referred in shorthand as “Hologram,” is a responsive emulator that generates an extremely realistic holographic copy of the user's physical form and movement. 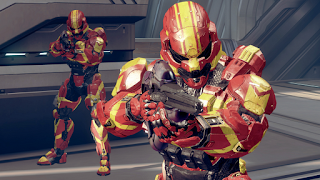 Once used exclusively by the Covenant, this decoy technology has now been reverse engineered for Mjolnir armor systems, and is used as a ruse in the field to trick enemy infantry and armor into revealing their position, thereby placing them at a disadvantage. The Z-5080 Vision Modification system, colloquially referred to as “Promethean Vision,” is a short-range full-spectrum enhancement package that enables users to detect shapes and movement through solid barriers. Coupled with the VISR 4.0 tech suite, this software is one of the most formidable leveraged by GEN2 armor systems. 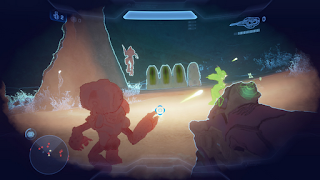 Descriptions and images sourced from the Halo Waypoint Site.